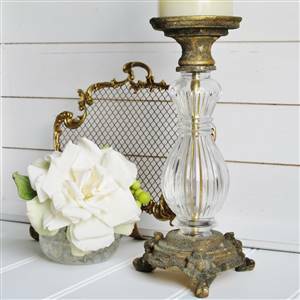 Antiqued gold and glass candle stick candle holder x 1. Has a rustic gold effect finish with a beautiful glass stem. H 26cm, Dia. 13cm approx. Holds a candle Dia.7cm max. (candle not included).